The Libra New Moon occurs on Tuesday, September 23rd at 11:14 pm MST/PDT. It happens at 1 degree Libra 7 minutes. Here’s the chart: LibraNewMoon2014. Libra initiates a diversity of relationships with a diversity of people. Through contrasting and comparing ourselves with others, we realize who we are as individuals. Each individual is unique. AND all human beings are intrinsically equal. Just as parents know their children are each different in their own unique way, most also love and value all of their children equally. 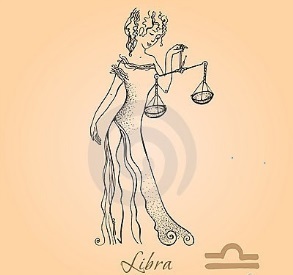 Libra’s symbol, the scales, leads us to believe that this sign is inherently balanced. IT IS NOT! Libra rules EXTREMES. It needs to learn balance! Libra is the sign of relationships and of learning how to relate to others as an equal; not submissive to or dominant over others. Unfortunately, our collective reality is rife with extremity. It seems to have manifested everywhere in the human experience from our politics, which are extremely polarized in countries the world over from the United States, to Scotland, to Afghanistan, to the the Middle East. Its even re-emerging once again in growing mistrust and geopolitical conflicts between Russia and the United States and Europe reminding many of the Cold War. Its present in zealous religious ideologies that have produced dangerous extremist factions/terrorists, and in our economies through extreme wealth disparity and income inequality epitomized by the 1% vs. 99%. And its reflected in global climate changes resulting in extreme weather events worldwide. Indeed the word ‘Extremist’ has become commonplace in our daily life. Clearly, we could ALL benefit from learning how to balance more effectively! Libra lessons are primarily concerned with the dynamics of effective listening and appropriate giving. Because Libra is a sign that ‘needs to be needed’ it often gives to others in ways that promote co-dependency. Cultural conditioning encourages projecting personal needs onto others and expecting others to fulfill those needs. Projections inevitably lead to ineffective listening or listening through a ‘filter’ of personal needs. This often results in inappropriate ‘conditional’ giving motivated by “I will love you IF…” Resources, time, attention and even love are given only on the condition that the recipient adequately fulfills your needs in return. To listen effectively requires turning off the filter of personal needs. Only then you can really hear what your partner is saying about their needs, wants and desires. Listening effectively enables Libra to give appropriately, based upon what others really need, not what Libra thinks they need, which more often than not, maintains relationship co-dependency. In matters of giving and receiving, Libra learns to first question whether it will promote independence or co-dependence and then chooses accordingly. Of course, this projection of ‘ultimate’ meaning onto mere mortals (our human partners) inevitably ends in disappointment when we realize they’re human – just like us – and not the defacto God/Goddess we want them to be. Keep in mind that we not only have relationships with others, but also with our self and with the Divine Source that created us. Whether you call this Source The Creator, Great Mystery, God, Goddess, Allah, Hunab Ku or The Cosmic Mother, your relationship with that Divine Source is truly the only ‘ultimate’ relationship capable of providing ‘ultimate’ meaning! In Virgo, Venus spurs an intense inner self-analysis that discerns what self-adjustments must be made in order to resolve crises, heal feelings of unworthiness and increase emotional well-being. Doing so will minimize the projection of needs onto others and the resultant conditional giving – that leads to co-dependency – that leads to crises! Keep in mind that the evolutionary path for Libra is found in its opposite sign, Aries. Aries is about discovery of SELF. In short, taking responsibility for your SELF, working on your SELF, healing your SELF and focusing energy and attention on your SELF allows for a personal metamorphosis that can eliminate co-dependency. Ironically, SELF-development often results in healthier relationships that are more balanced, peaceful, equal, fair and just. Together, Virgo and Pisces symbolize reality vs. illusions and therefore symbolize the resolution to delusional, idealized thinking. Take off those rose-colored glasses and get real! See things realistically, not idealistically or as you wish them to be. And stop the denial, which is choosing not to see at all. Embrace reality. See others as they truly are remembering that ALL human beings are imperfect. Life is imperfect. We’re all EVOLVING, including the Divine Source that created us. Apply the compassion and forgiveness of Pisces and the discernment and natural analytical abilities of Virgo to SELF-improve. Heal your self and you’ll heal those disappointments that were created by delusional thinking. Thankfully, the upcoming Aries Full Moon/Lunar Eclipse on October 8th provides the energy and opportunity to culminate old relationship patterns. Learn to take better care of yourself YOURSELF and your relationships will flourish. This lesson applies to all manner of relationships from one-on-one partnerships between family members, friends, and lovers, to foreign relations between nations. The asteroid Pallas Athena (feminine wisdom) joins the Sun and Moon in Libra now. It too symbolizes the need for greater relationship equality and balance particularly between the sexes. This can only be achieved through a re-integration and reclamation of long-lost feminine values and perspectives. We need look no further than the current NFL domestic violence and abuse headlines to realize the need for a greater awareness and understanding of the centuries-old reality of devastating imbalance between men and women. Sadly, this imbalance exists not only in our homes, but also in our workplaces, our places of worship, in governments and in society as a whole. To heal our relationships with each other, with the Divine Source, and with our planet, will require no less than a profound re-balancing of archetypal energies between the Divine Feminine and the Divine Masculine. Mercury’s also in Libra now and is getting ready to experience its final retrograde of 2014 from October 4-25 traversing from 2 degrees Scorpio back to 16 degrees Libra. This emphasizes the need for balanced communication in relationships. Conversations are likely to be powerful, deep and intense as individual needs, desires and values are reflected upon and shared with significant others. People from the past may show up to remind us of old relationship dynamics. What worked? What didn’t? It’s quite the opportune time to confront and heal those old relationship wounds. Find the courage to speak from your heart AND the patience and maturity to LISTEN to others whole-heartedly. The most significant New Moon (Sun and Moon in Libra) aspect is an inconjunct (150 degree angle) with Neptune in Pisces. Unfortunately, this celestial pattern correlates to many of our global crises including climate change, identity theft, the prison industrial complex, chemical warfare, the growing Ebola outbreak, pharmaceutical drug-pushing, religious extremism, political fraud, corruption of the media, police brutality and environmental degradation. These issues threaten every culture and nation on the planet. Fortunately, this same celestial pattern between the Sun, Moon and Neptune also correlates to a burgeoning spiritual awakening for humanity as a whole. Just one recent example of this is the marches in cities and countries worldwide this past weekend, including nearly 400,000 people in New York City, demanding that world leaders take action NOW to address and alleviate climate change. Add to this North Carolina’s ‘Moral Monday’ marches over the past year and South Carolina’s ‘Truthful Tuesday’ marches and the political transformation underway in Ferguson, Missouri which has also become the catalyst for law enforcement reform. Municipal police departments nationwide are adopting the use of personal body cameras to be worn by their police officers, forever changing the extreme power imbalance between the police and citizens. Perhaps one of the best examples though of a change in consciousness is to be found in Naomi Klein’s newly released book entitled, ‘This Changes Everything’ that identifies capitalism as the primary culprit underlying and driving most of our global crises. This book promises to become as seminal a work as Rachel Carson’s, ‘Silent Spring’ was in the 70’s which cited industrial chemical pollution as devastating to our environment. Humanity is indeed waking up! The New Moon’s semi-square to both Jupiter in Leo and Ceres in Scorpio symbolizes the need for a greatly expanded vision of caring, cooperation and collaboration, not conflict and competition, to overcome struggles to provide for the needs of refugees, the disease-stricken, and all those who are disenfranchised socially, politically and economically. Pluto in Capricorn just completed a five month retrograde/review of what is and isn’t working in our individual and collective realities. Now we can move forward with greater insight, awareness and understanding. Recognizing what quantum science has proven over the past decade, that consciousness creates reality, we can now make different, more informed choices that will co-create a new and improved reality. We CAN balance extremes, especially in all our relationships. Yes, human beings are imperfect. AND, we’re also uniquely endowed with the ultimate power – the power of free will choice. The next New Moon is a Solar Eclipse in Scorpio October 23rd at 2:57 pm MST! Copyright 2014 Donna Lee Steele and Threshold Consulting. All rights reserved. This entry was posted in Planetary Events and tagged balance, co-dependency, collaboration, consciousness, cooperation, equality, extremes, extremism, fairness, Full Moon, giving, imbalance, Libra, listening, lunar eclipse, partnerships, peace, reality, relationships, retrograde. Bookmark the permalink. Hello Donna, a happy New Moon wished to you! I found your article on Libra very informative and certainly very knowledgeable. A lot of people do not realise the imbalance that Librans have, your reference to the polar opposite sign and its application towards outcomes; spot on! An ideal eggsample of this was John Lennon, who was tortured between Love, Peace and a very violent temper! a Libran in turmoil. Thank you for your time, really appreciated. The discussion of the nodes has me pondering the impact of the nodes at this time. I understand that the nodes are now direct. How does that impact some with “opposite” nodes? I think that’s me with Aries north node and Libra south node. I got from heavenly help that this should be a time of greater clarity….Does that hold true for opposites? Any other considerations? Thanks so much for your comment and question. Yes, the Nodes of the Moon are currently direct or moving forward in motion which does indeed symbolize a greater conscious awareness regarding the proper intention/direction needed for evolutionary growth. However, since the Nodes are ALWAYS exactly opposite one another, that is to say they’re always at precisely opposite signs/degrees in the zodiac, everyone’s Nodes are opposite. With the South Node (past) currently occupying 19 degrees Aries (self) and the North Node (future) at 19 degrees Libra (others), we all have an opportunity to let go of old emotional stuff, old personal stories, outworn self-images and personal realities that are no longer serving us. We also have the chance to evolve towards a greater understanding of how ‘we are all in this together’ and that while everyone is different, we are also all equal. No one is greater, or lesser, than another. It’s time to let go of extremes and choose greater balance. For those who have historically been self-focused and self-interested to the exclusion of others, its time to learn to take others into consideration more. For those who have always been ‘other-oriented’ at their own expense, its time to stop the self-sacrifice, develop a greater self-respect and learn to stand up for yourself more. Here’s to greater balance and harmony for all!